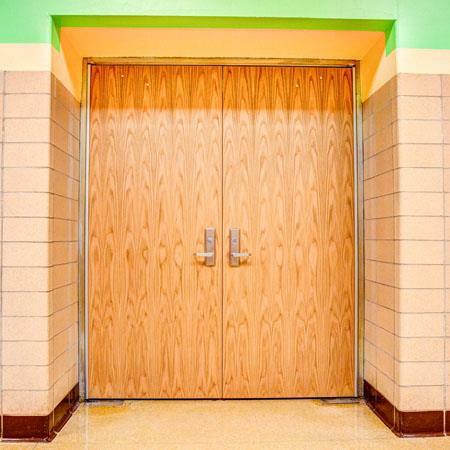 Sunrise Door Solutions offer a variation of wood doors that can be customized to achieve the aesthetic, functional, and environmental requisites that enhance the look and durability of a commercial space. Wood Doors are primarily used when maximum security is less of a concern and aesthetic appeal and durability is desired. Sunrise Wood doors are valued for its solid dimensional stability and continuing beauty that will leave a long lasting rich décor. Sunrise Wood Doors are not subject to rusting or corroding and are available in many shapes, styles, woods, stains and paints.